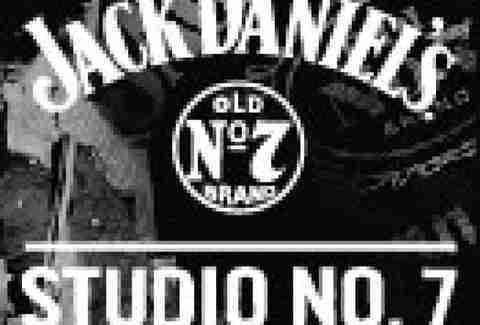 What:A fresh installment of the Jack Daniel’s Studio No. 7 concert series is coming to the Mill city, spotlighting the next generation of up-and-coming bands and performers. Hitting the stage is Trampled by Turtles, a folk quintet hailing from Duluth, whose grass is as blue as Jack Daniel’s classic whiskey is amber. 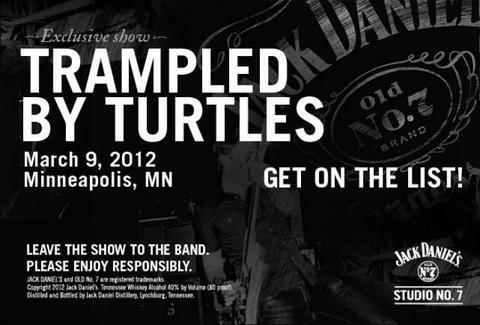 With premium, uncommonly smooth drinks and intimate, live music, this Jack Daniel’s-sponsored event promises to be a night that’s way more enjoyable, not to mention less time consuming, than literally being Trampled by Turtles. Check out the website JDStudiono7.com, or like Jack Daniel’s on Facebook at facebook.com/jackdaniels for more information on how to receive an invitation to this exclusive, invite-only event.